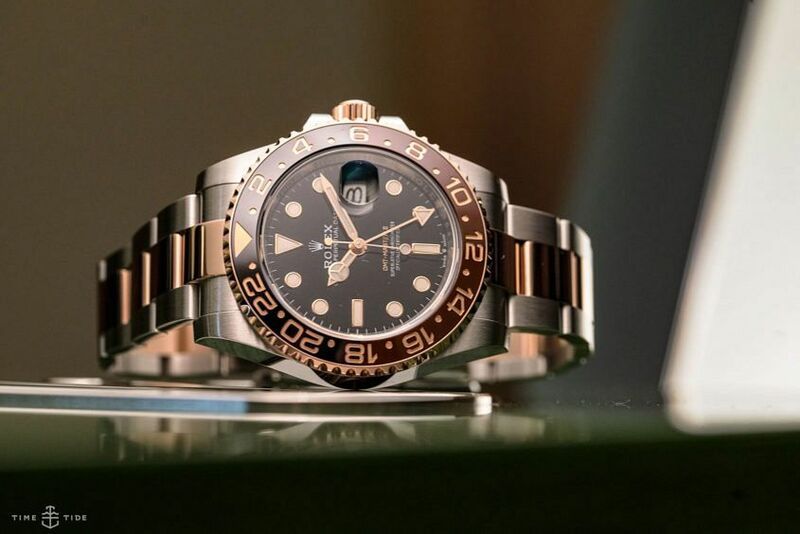 In the wee hours of this morning, as I was recording this voice-over, it occurred to me that the only watch from the new Rolex GMT-Master II collection currently not receiving a massive amount of coverage at Basel 2018 was the one in the middle – with both Oystersteel and Everose elements, the two-tone, or as Rolex call it, Rolesor model. It just so happens that, at this point in time, it’s the one I’m most fixated on. I think, without stealing too much of my own thunder, it’s the way that all the colours, finishings, materials, and fine details come together – and play off one another. I’m sure that once the Pepsi sugar high has worn off a little, the glittering Rolex GMT-Master II in Oystersteel and Everose will have its time in the sun, but we thought we’d shine a little light on it early.